PP333 You Matter A lot To Me! I asked what color combo I should do! She picked a yellow, a purple and a green. Rich Razzleberry and Mint Macaron. and a sentiment from the same set. 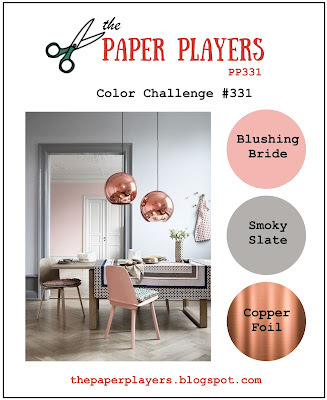 Go over and play in the sketch challenge this week. Thanks for stopping by here and have a lovely Tuesday! 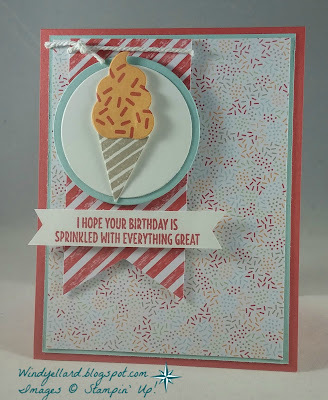 This is the last card for my card class this week! 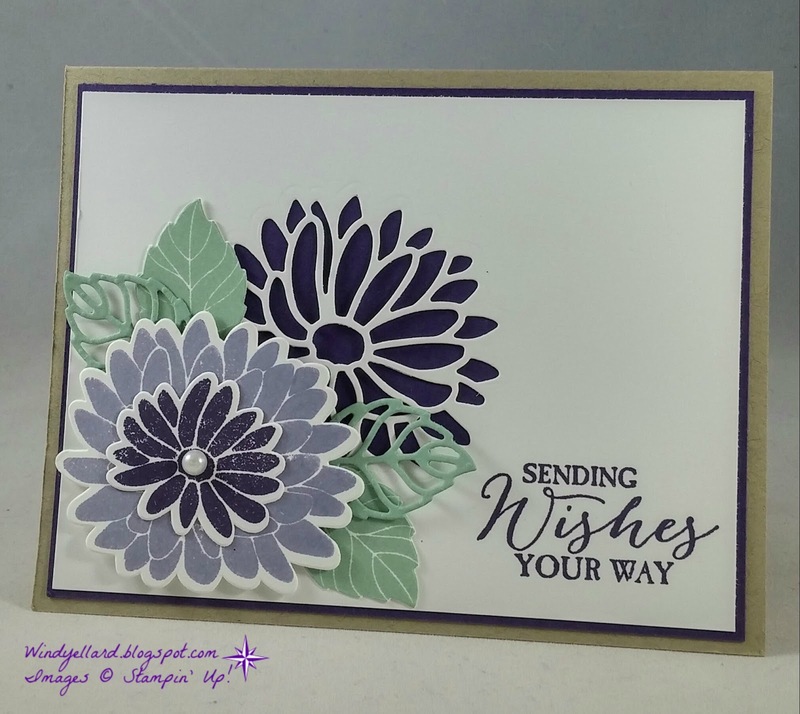 and placing Elegant Eggplant card stock behind. both cut with matching dies. I stamped two leaves in Mint Macaron and cut out. I then cut two more in same color card stock. 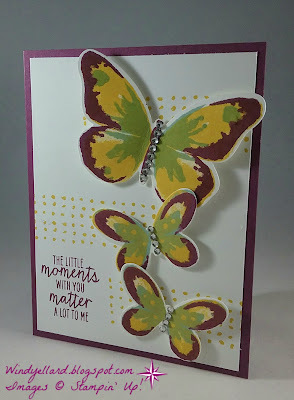 I stamped a sentiment I like to use from Butterfly Basics. This sentiment can be used for most any occasion. I hope you have wonderful Monday and thanks for stopping by! Party On With Balloon Adventures! 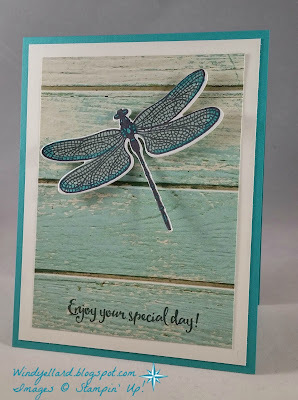 I have the 4th card for card class this week. 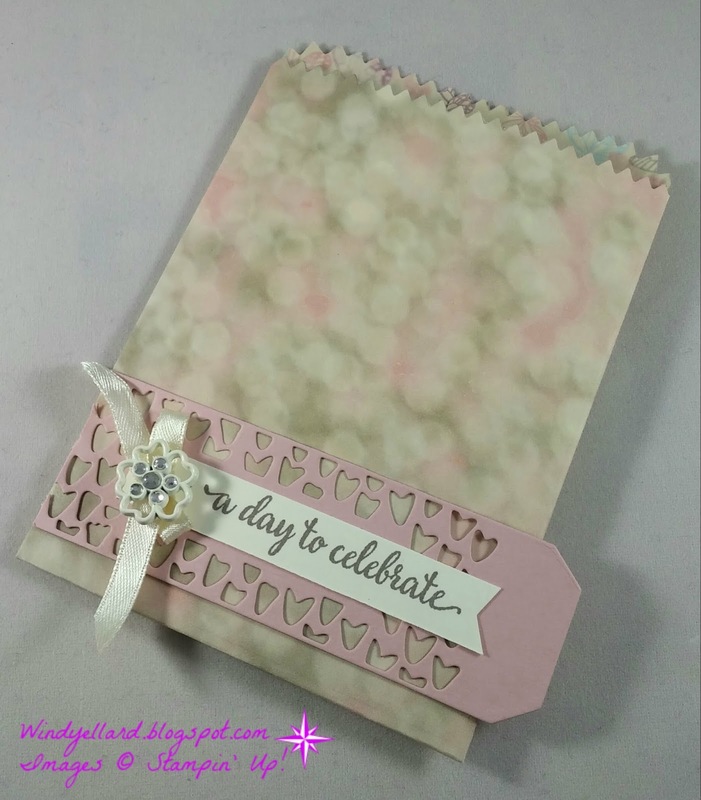 stamp set and Balloon Bouquet punch. 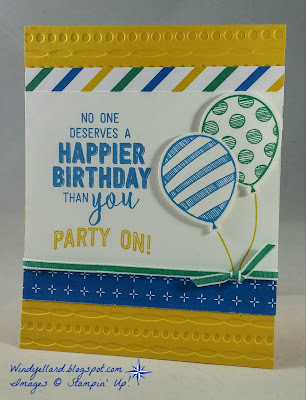 I used some colors found in my Party Animal DSP. A little Pacific Point , Crushed Curry, and Emerald Envy. with the 1/8" taffeta ribbon in Emerald Envy! This is my third card for classes this week! 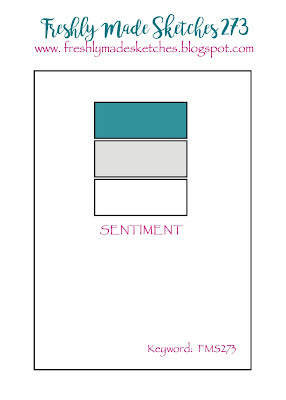 I love the soft colors in the DSP called Falling In Love. The So Detailed thinlits dies cut in Sahara Sand on top of Blushing Bride. and some Very Vanilla satin ribbon down the middle. 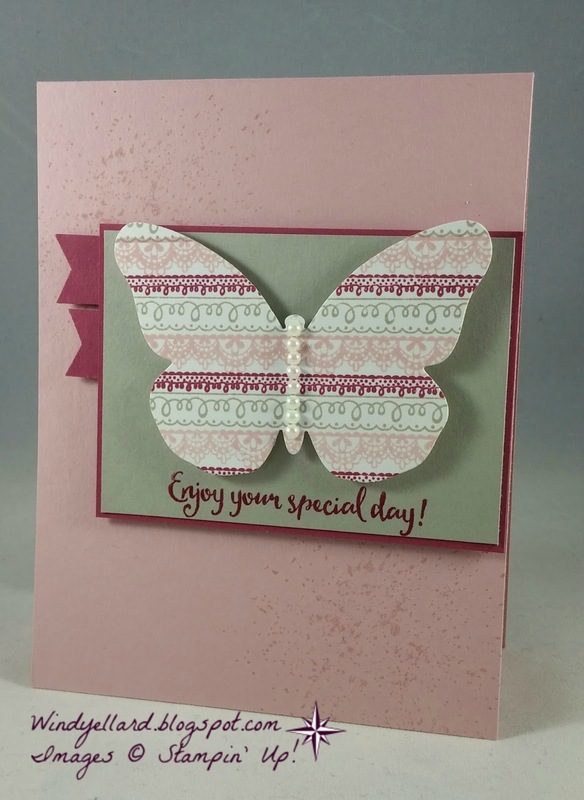 stamp set in Blushing Bride and Sahara Sand. 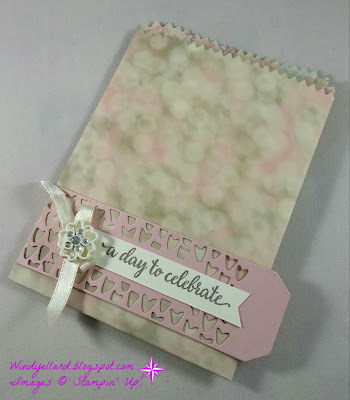 The sentiment was stamped in Tip Top Taupe. This card can be for any occasion also. I hope you have a lovely Saturday an thanks for stopping by! FMS276 Best Bird Grateful For You! with a overlooked stamp set called Designer Tin of Cards. It has several words and phrases, some I used here. 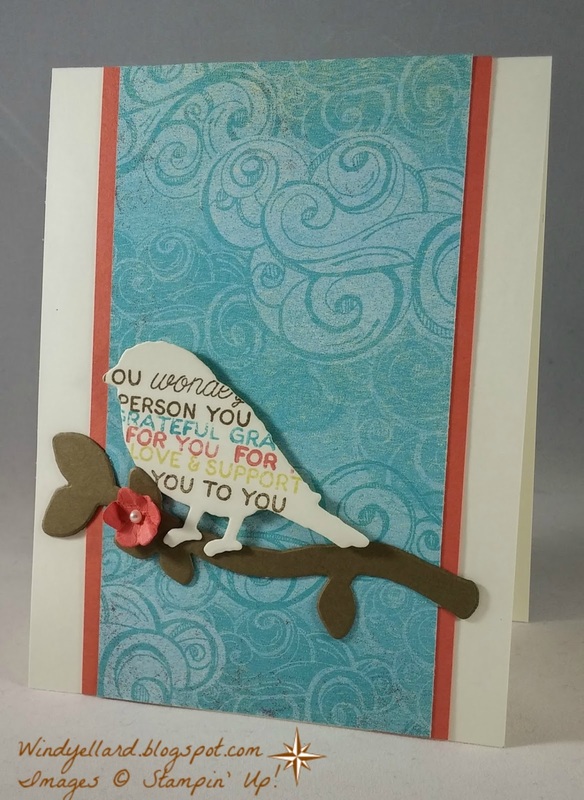 The bird is cut in Very Vanilla and the branch in Soft Suede. then added a pearl to the center. and I love how it looks like a swirly sky! 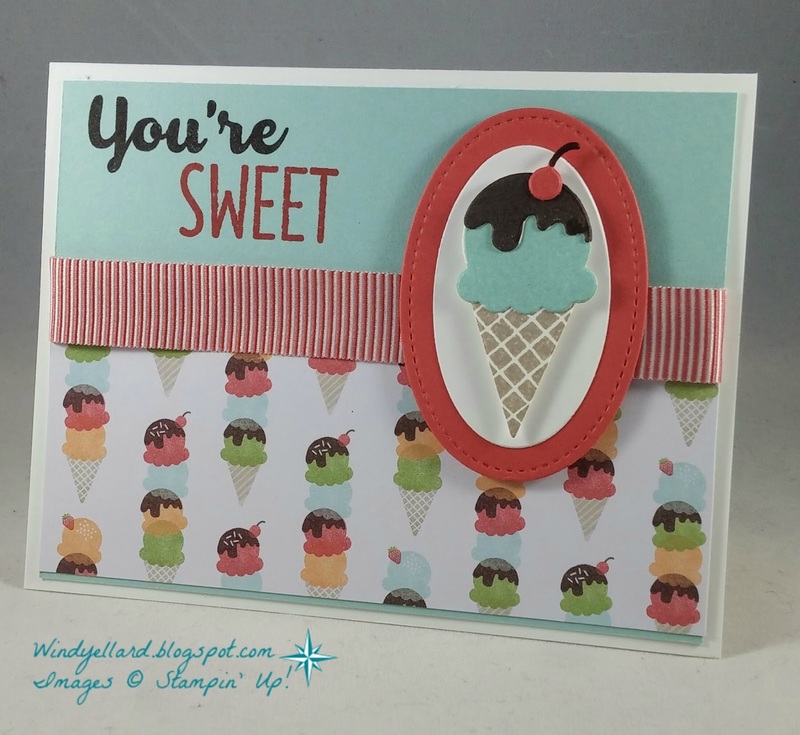 Sweet Treats makes a sweet card! all out with the matching dies. on the Pool Party plus the Watermelon Wonder ribbon. easily stamp two different colors. colored the stem in Early Espresso marker. I love all the colors together. card for class coming up. 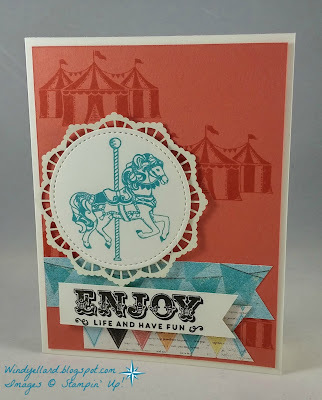 Enjoy Life With Carousel Birthday! Love the look of the card! Vintage like but still clean. 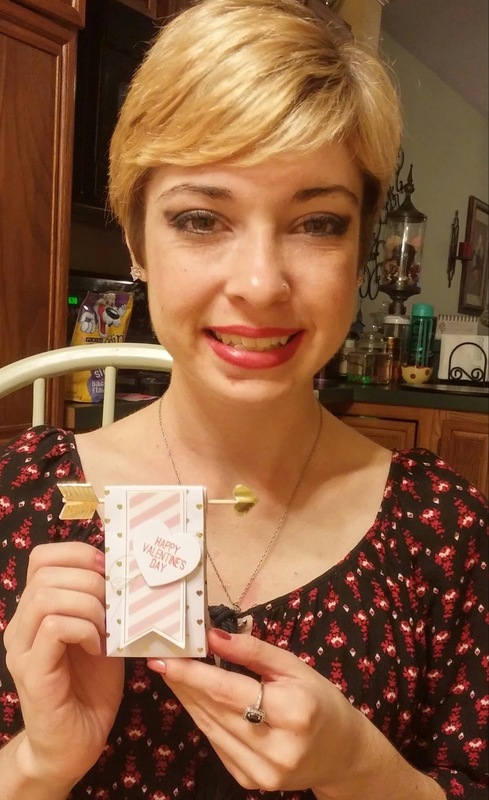 I love the Carousel Birthday set. side of the new doilies behind. 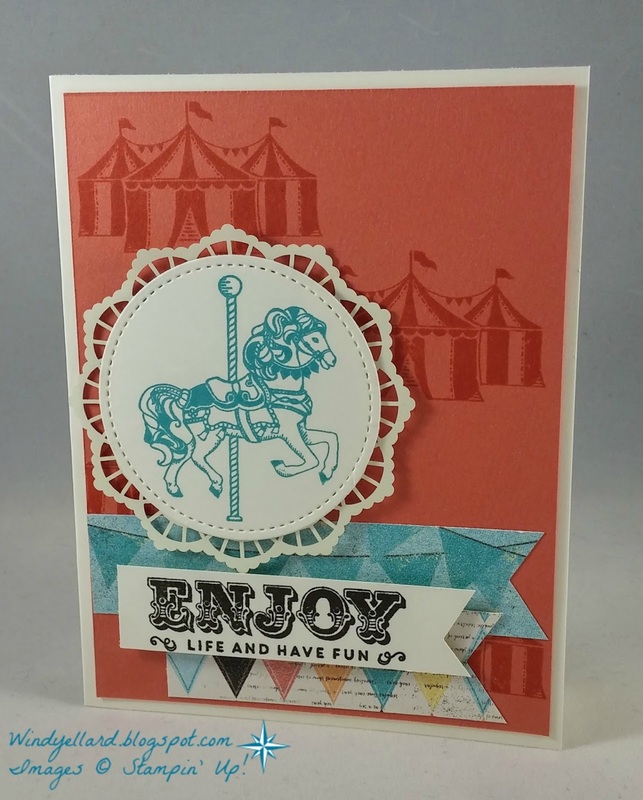 I stamped the circus tents on the background piece. coordinate with the Carousel Birthday set. This is also my first card for my class coming up this week! I hope you enjoy and have fun this week! wings in Pear Pizzazz and then rocked the edges in Bermuda Bay. I popped it up on a piece of DSP that looks like white washed wood. I stamped the sentiment right on the DSP in Memento Tuxedo Black. Awesome look thanks to the help of awesome paper for the background! 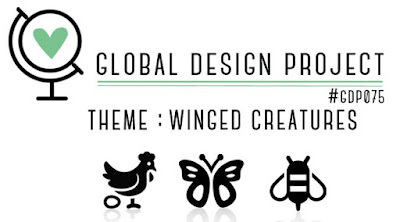 Hope you can play along over at global-design-project.com. 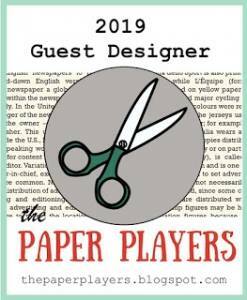 Hello again...more design team projects! 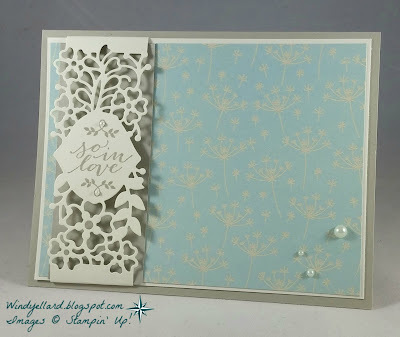 with some beautiful designer paper called Falling In Love. 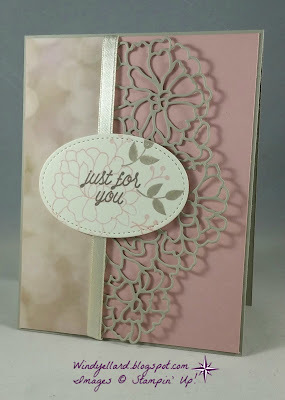 I used the thinlits called So Detailed and some pretty embellishments! The So In Love set has some great sentiments like this one! I hope you have a wonderful President's Day! So Detailed Just For You! 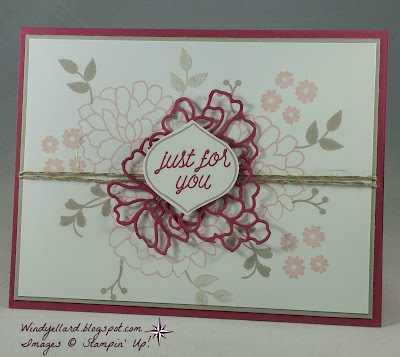 I snipped a bit of the one die from So Detailed thinlits dies cut in Rose Red. 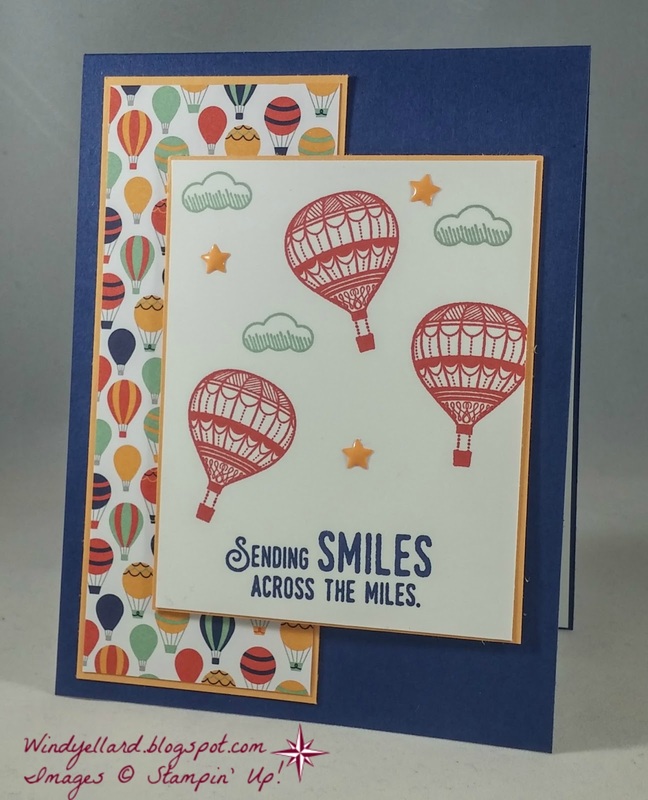 I layered it behind stamped image I snipped out. Blushing Bride and Sahara Sand. I finished it off with some linen thread. 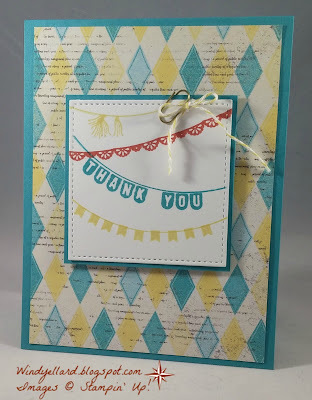 This bundle makes some beautiful projects! I hope I am at the beach when you are reading this! in Sahara Sand. 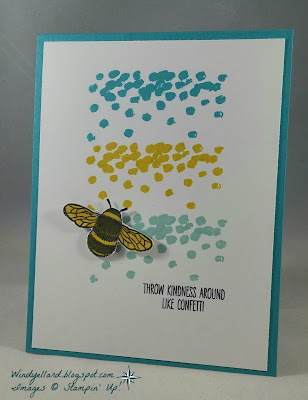 I finished this card off with a few pearls. I hope you have a lovely Saturday and thanks for stopping by! FMS275 Hello Special Reason Flowers! Great sketch and I love when it comes together so easily! 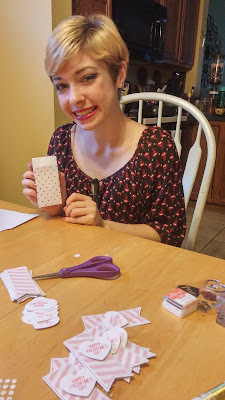 I decided on the stamp set since it is a new one for me. I pulled Flirty Flamingo since I never grab that color. I also grabbed Emerald Envy for the leaves. and added the Basic Black. Touches of Textures stamp set. A little enamel shapes in Daffodil makes the flower! so as not to distract from the flowers. 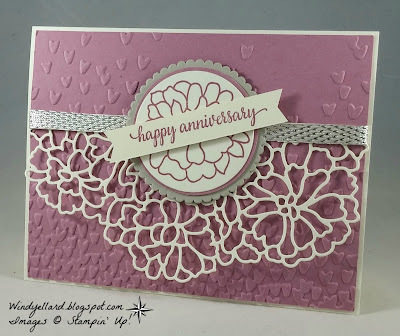 So In Love For A Happy Anniversary! I love the So In Love bundle. 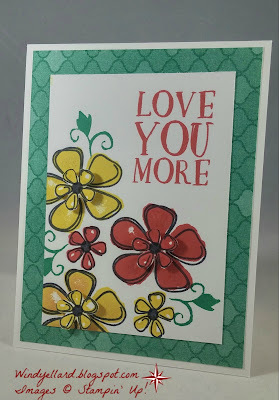 I used the stamp set for the lovely flower and the sentiment. end of March with a 50.00 SU! purchase. Thanks for stopping by and hope you have a lovely day! along with the small leaf stem. I choose Calypso Coral and Mint Macaron for a clean, bold look! SU! shows the suite in the catalog. 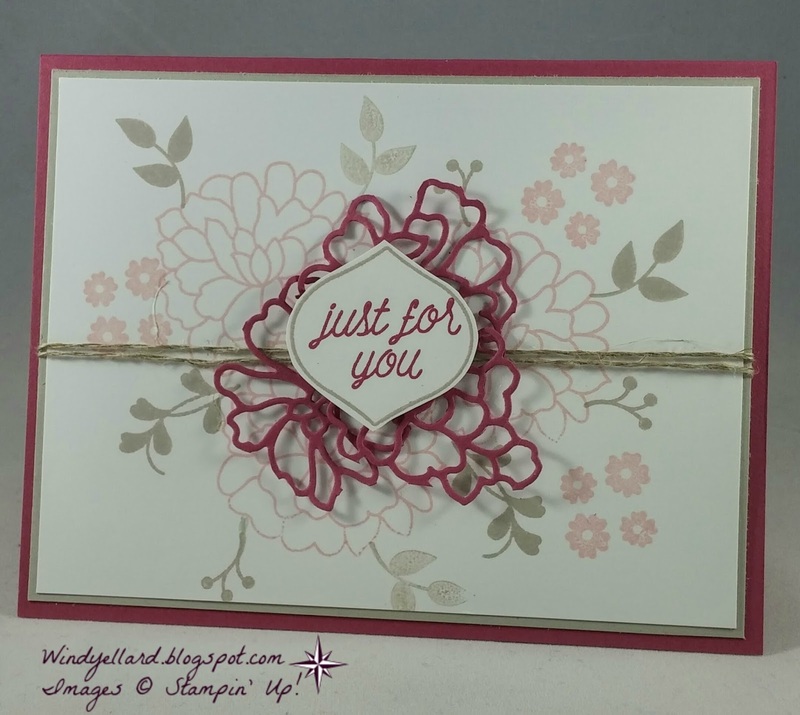 and Coral thick twine to finish the card. GDP074 Sprinkled With Everything Great! 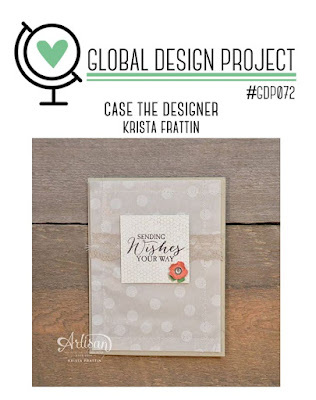 Fun sketch from Global-design-project.com this week! I decided to use the Cool Treats bundle/suite. Hope you can play along this week! 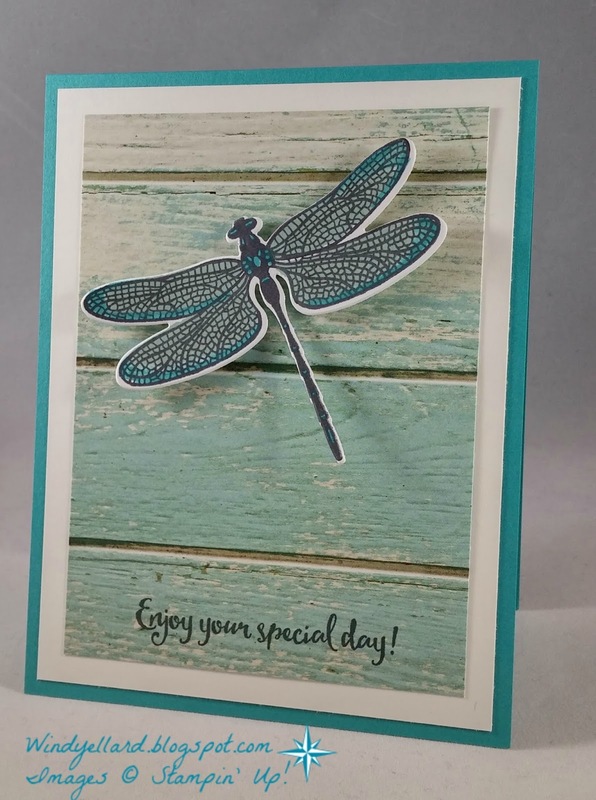 PP331 Hoping Your Day Is Perfect! 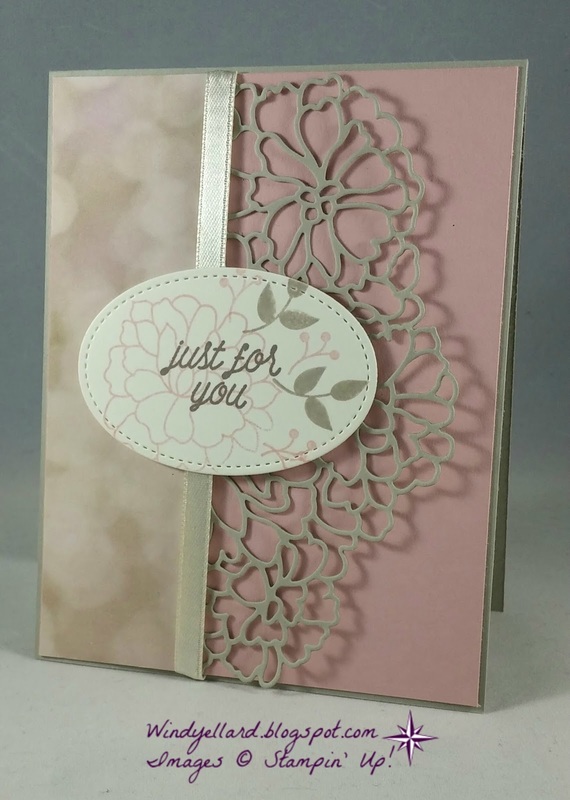 copper emboss powder. Then add some copper foil, too. Love the background paper from Falling In Love DSP. 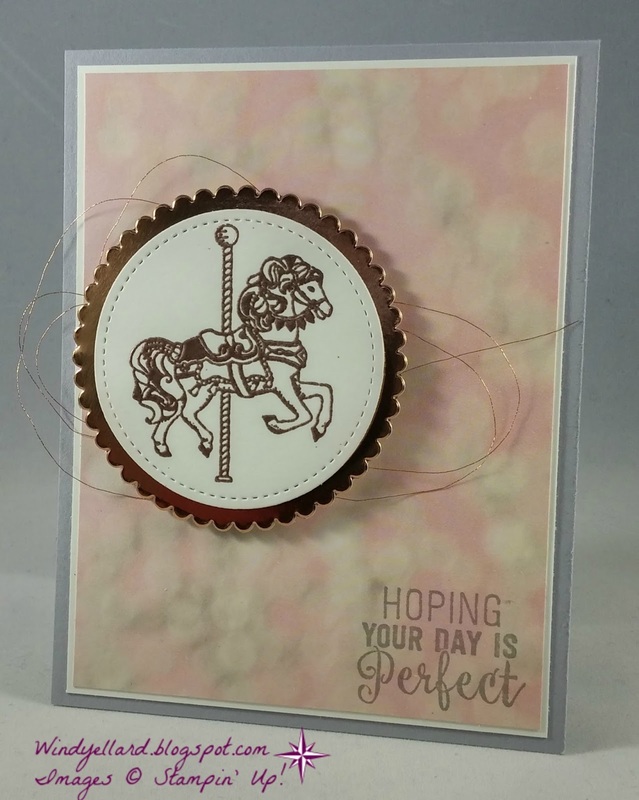 copper with the thread...sooooo pretty! I hope your day is perfect and thanksfor stopping by! and the Avant Garden set. and the leaves in Pear Pizzazz. I added some detail in black in the center of flowers. I placed some burlap ribbon and the gold natural trim through the center. 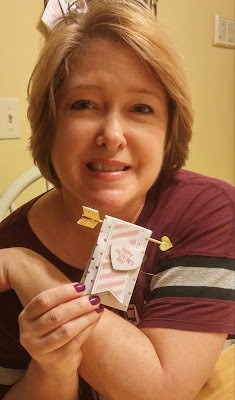 I finished it off with a sweet sentiment from the same set. for free with the SAB promo when you spend 50.00 in SU! products. and put together a little different than the original. from the matching dies-Up & Away thinlits. and then cut out my butterfly with a die. I added some pearls for a body. splatter from Touches of Texture. then added a some Rose Red for a darker shade in the combo. Happy with the cool effect of the butterfly! now thru March 31st with the SAB promo. I stamped off once for each flower and on some of the leaves. 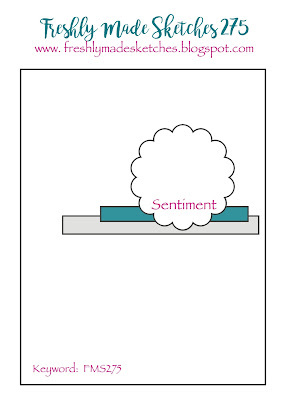 I love the Suite Sentiments set in the new Spring catty. I thought it went perfect with this garden! plus added some Calypso Coral. My Thank You is not perfectly on the line but oh well! Mini paper clip in gold, Yellow baker's twine from a kit. When I saw this color combo, all I could think of was flowers. then snipped them out to layer on top of the big ones. 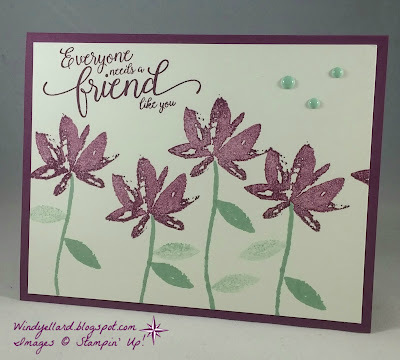 I used some Moroccan DSP in Emerald Envy. The bright colors make it fun! 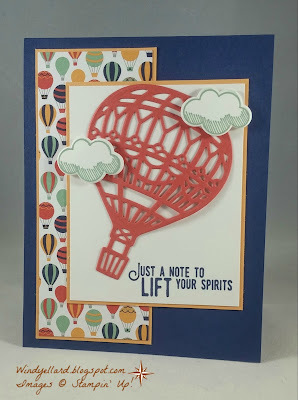 More Lift Me Up Balloons! 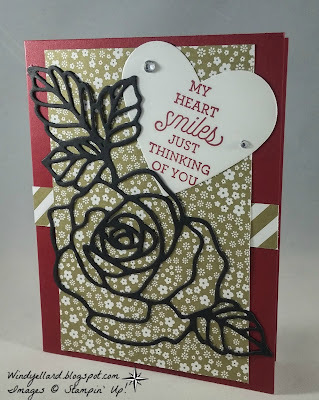 I had a few cards cut that were not made in class. 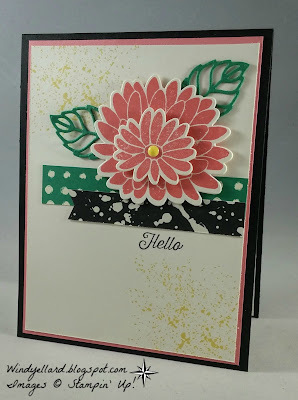 I decided to put them together but change a bit the stamping. sending this one to my mom. I send her a card each week and she is highly spoiled! 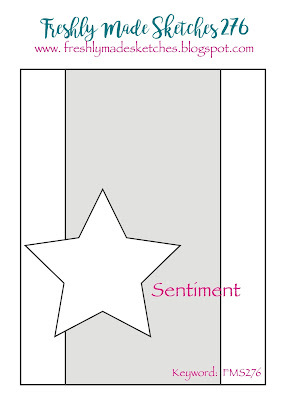 I added some in color enamel shapes-stars in Peekaboo Peach. I hope you have a fab Monday! 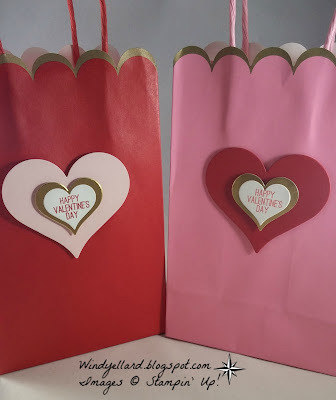 Paper Pumpkin Valentine's Day Treat Bags Fun! kit this weekend. Very cute Valentine's Day treat bags! 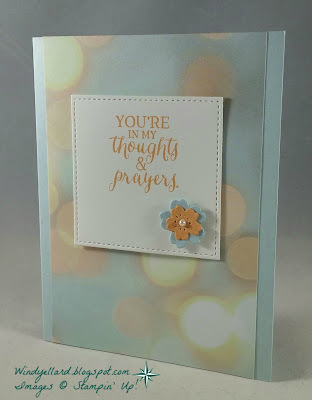 I really like the colors and the touches of gold! Glad this kit came and had plenty of bags for my Sunday School girls. Mostly, I loved the time with my girl! when I went to design for this challenge. the next over in Crushed Curry. I hand snipped him out. and decided to give it a go! Smiles For My Guest Designer! my wonderful and talented daughter did! She would not let me see until she was all done! I love the layout and the mix of DSP. 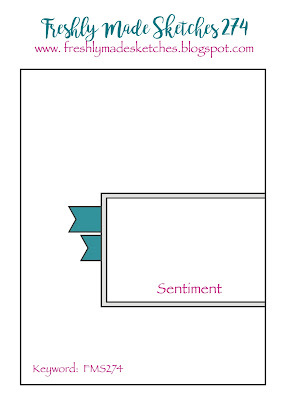 But my fav is the sentiment cut out on a heart! on it but Ilike that the colors are different. Rose Wonder that I like to keep in my stash. I seem to need these cards at no notice! I finished mine off with a pearl! 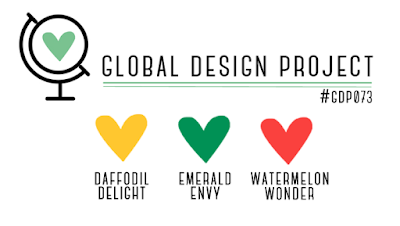 head over to global-design-project.com today! esp. with the gold scallop edges on top! 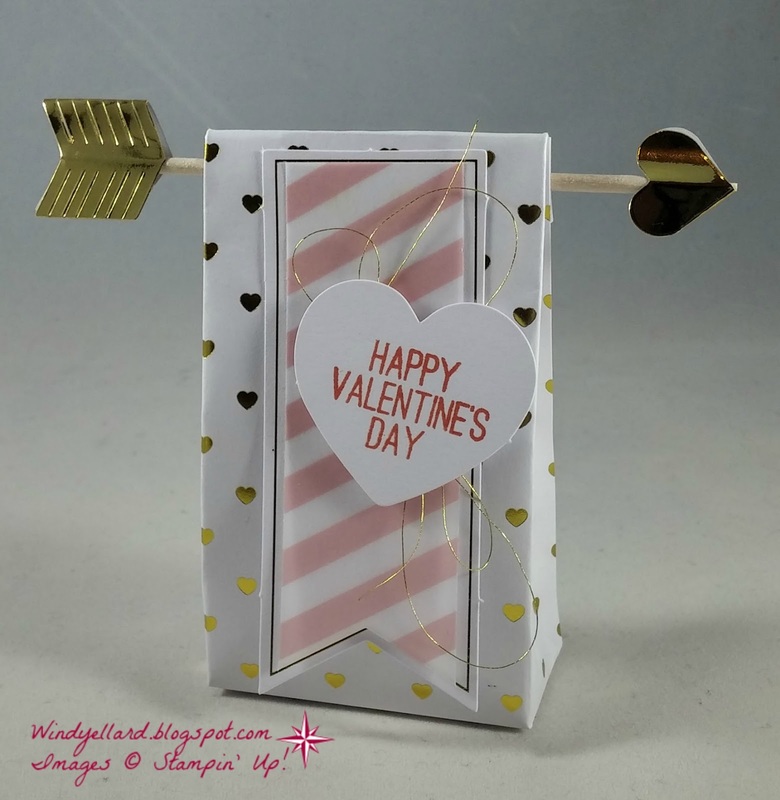 I cut a few hearts from the Sweet & Sassy framelits dies. 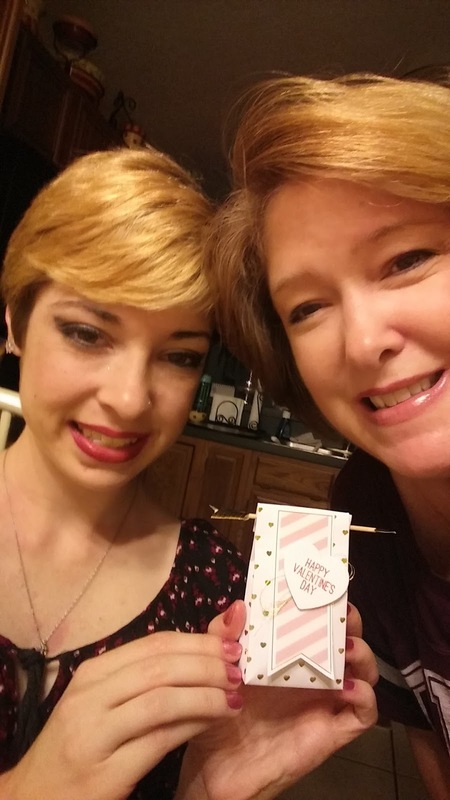 On the left, I used Pink Pirouette, gold foil and then Whisper White. 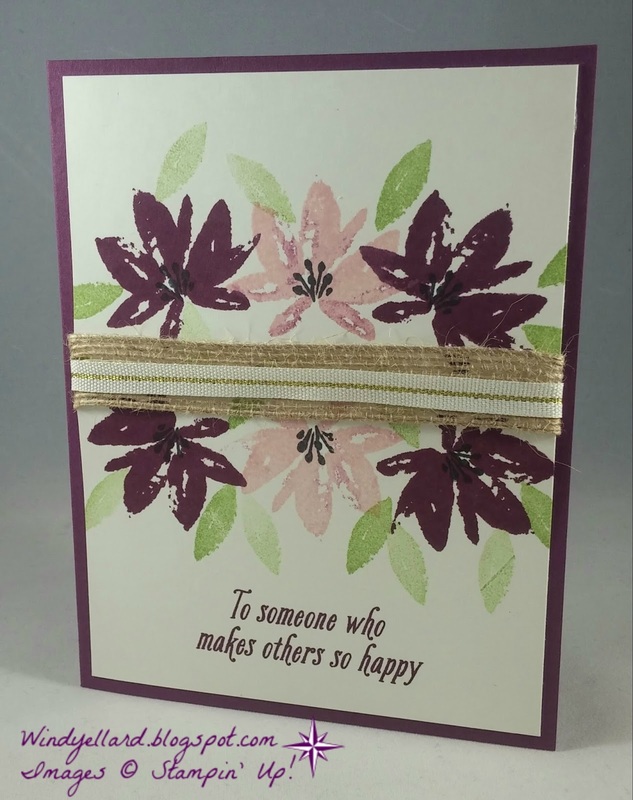 On the right, I used Real Red, gold foil and Whisper White. 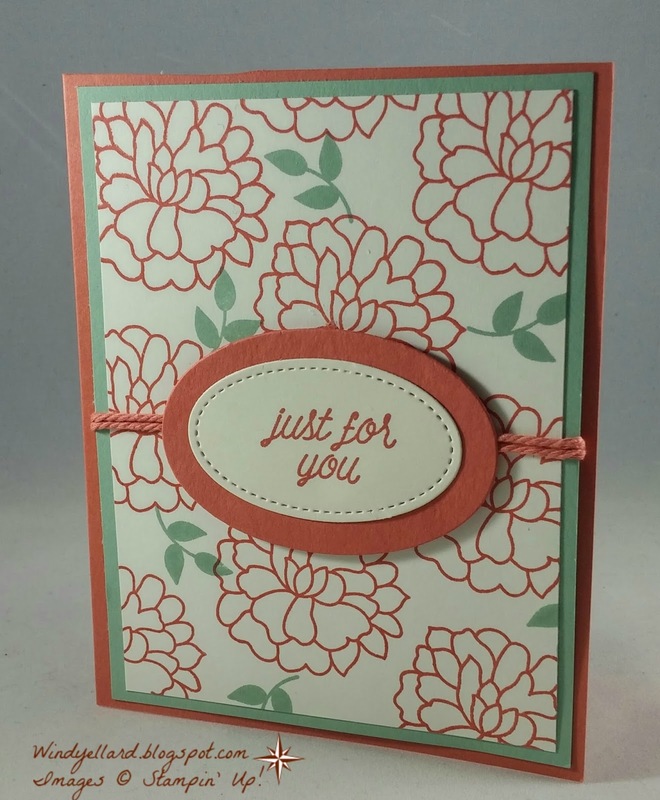 Left stamped in Real Red and the right stamped in Flirty Flamingo.